Being a part of building and selling 2 online lead generation companies has given me a unique perspective. Each day I hear from clients that are looking for better online leads. …Others write in to tell me about their challenges. The troubles they have with internet marketing and finding quality leads, lowering their lead cost, and maximizing their affiliate, SEO, PPC or email marketing. For one Real-estate client we signed up new partners resulting in over $215,000 in revenue, reduced their pay-per click spend while increasing profits, and began improving their emails with numerous 40+% increases in revenue within 5 months. 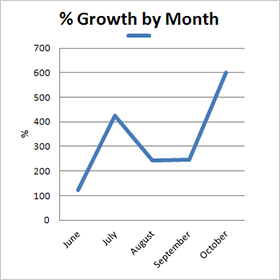 Furthermore, we have another financial client’s affiliate program that is growing at 600% in less than 6 months. If you’re interested in doing this for your company. Give us a call to discuss your situation. 2 calls each month (45 minutes in length) – We get on Skype or a phone call and we discuss where you are stuck and where you would like to be. We close that gap where I answer your questions and provide you with direction and resources. Call is recorded and sent to you – You will receive the complete recording of the call to review and continue learning from. Follow-up questions by email each month – Send any questions or materials you want me to look at before our call (can be a website, PPC account access, creative, or anything else) and I’ll spend 15 minutes reviewing them and preparing for our call. You’ll receive detailed answers. My coaching schedule has 2 spots currently available (Note: Spots are sold on a first-come first-served basis).